I read an article by Koos Barnard of Magnum magazine recently in which he describes the “ultimate flat shooting” caliber, the proverbial only rifle a man will ever need. Well, he could have been referring to the 375H&H with the GS Custom 200grain HV bullet. 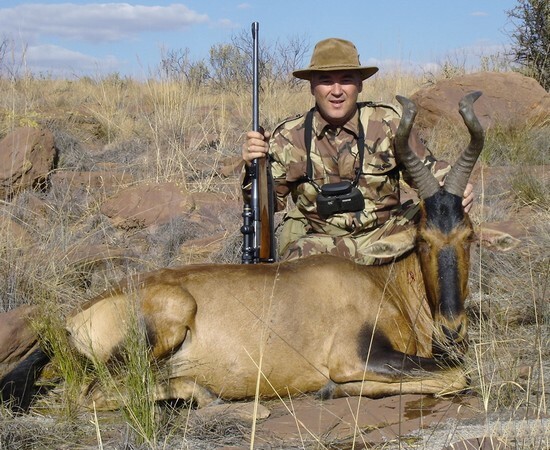 At 3200 fps it is as flat-shooting as you will ever need and if accuracy is your thing, then bear in mind that the red hartebeest and both zebra below were shot beyond 250 metres with my 375 H&H. I also put a wounded springbuck out of its misery with a ranged 273 metre shot in the head which did not merit a photo (totally decapitated!!). If only I could keep one shot in the animal to check the bullet weight retention! Then again, why bother, it is certainly doing what it was designed to do, hit hard and far. May GSC go from strength to strength, the hunting world would be a boring place without your bullets.